The Finns Party ultimately fell only 0.2 percentage points short of upsetting the pre-election favourite, after a late-blooming campaign helped the populist right-wing party win 17.5 per cent of the vote and 39 seats in the Parliament. The Finns Party's previous experience of being in government, when they became the second largest party in the 2015 election, led to the group splitting acrimoniously after its popularity spiralled following unpopular compromises on immigration and European Union bailouts. 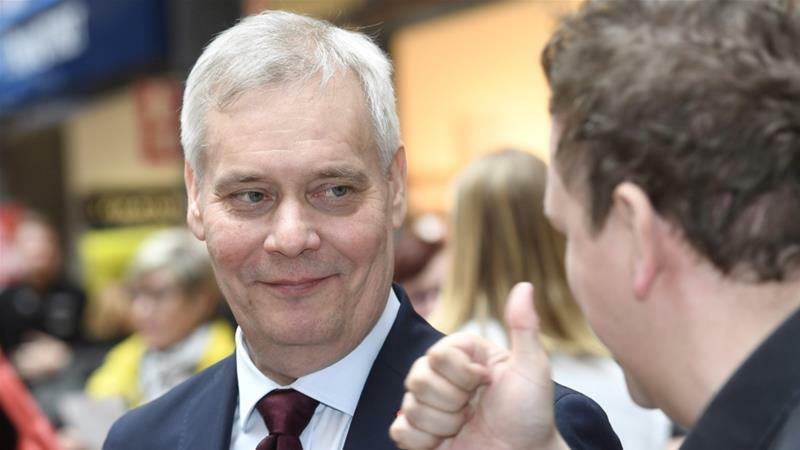 The co-ruling Centre Party of Prime Minister Juha Sipila and center-right National Coalition stood at 13.8 percent and 17.0 percent, respectively, marking the first time in a century that no party won more than 20 percent in a general election. After the elections, the composition of the 200-seat unicameral parliament will be determined, a new government will be formed and a prime minister will be appointed. The nationalist True Finns party came in fourth, with 15.1% of the vote. "The future is a big question for us, all this climate changing, education systems reforming. all kind of things are very important" to Finland's people, he said. It referred to a recent nationwide poll where a whopping 70% of the respondents said tackling climate change and reducing carbon footprints should be one of the new government's key priorities. Reform has been controversial in Finland and plans to cut costs and boost efficiency have stalled for years, leaving older voters anxious about the future. Finnish lawmakers last month voted to phase out burning coal as an energy source to end it by 2029.